The Star is associated with the zodiac sign Aquarius. 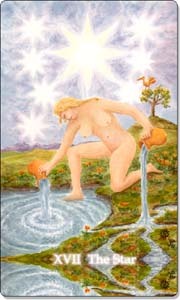 If Aquarius is either your sun, moon or rising sign, then the Star is one of your zodiac cards. 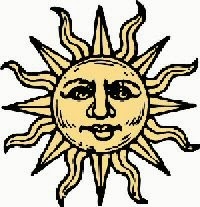 As a sun sign card, the Star may reflect your conscious, expressive, outward, open personality; how you engage with people and the world around you. As a moon sign card, the Star reflects your unconscious, hidden, blocked personality traits, instincts and emotions; you feel them within. As your ascendant (or rising sign), the Star reflects how other people see you, especially when they first meet you. Your ascendant shows your natural, habitual, instinctive and spontaneous reaction to new people and situations. First impressions! Will I ever find Love again, and if yes, when?